The name of the Association shall be Berkeley Park Neighborhood Association, Inc. hereinafter referred to as the “Association”. The neighborhood boundaries of Berkeley Park, as defined by the City of Atlanta’s Bureau of Planning, are: I-75 to the north, Northside Drive on the east, Howell Mill Road to the west and by Bishop Street on the south. The Association is a non-profit Georgia corporation. 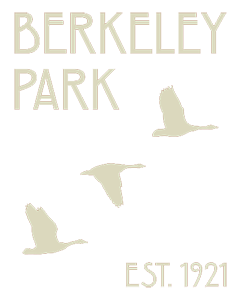 The overall purpose of the Association is to assist all residents and property owners within Berkeley Park in creating an area of intown living that is safe, clean and enjoyable; and to take on tasks that are beneficial to the neighborhood, its residents and its property owners. To provide education, information, and services to the neighborhood and the community at large. Notwithstanding any other provision of these by-laws, the Corporation shall comply with all requirements that qualify it for exemption under Section 501( c )(4) of the Internal Revenue Code of 1954 or the corresponding provision of any future United States Internal Revenue Law. The Association, as a non-profit corporation, shall not operate for the financial gain of any Member. All residents and property owners are eligible for Membership in the Association. “Resident” and “Property Owner” shall mean any person 18 years of age or older and whose primary residence is within the boundaries of the neighborhood; or any person 18 years of age or older, corporation, organization, institution or agency which owns property or has a place of business or profession within the neighborhood boundaries. The Board of Directors shall from time to time establish the rate of annual dues. Association dues shall be the amount established per voting member per year. Senior Citizens (anyone age 60 or older) shall owe 50% of the amount established as dues per voting member per year. No resident or property owner shall be denied Membership for failure to pay dues. However, any person or entity eligible for Membership must fill out a written application card for Membership on a form provided by the Board of Directors. Annual dues payments cover a period from January 1st to December 31st of each year no matter when they are paid during the year. Membership dues shall be due in October for the next calendar year. The Treasurer of the Association shall keep a record of all dues paid by Members, and shall render a statement to each Member assessing annual dues. The Secretary of the Association, or someone designated by the Secretary, shall maintain a list of dues paying Members and shall retain the Membership application cards. There shall be a Board of Directors consisting of seven Members elected annually, the President, Vice President, Secretary, Treasurer and three Members elected from the Membership at large. The affairs of the non-profit corporation shall be controlled and administered by the Board of Directors. To conduct the business and advance the purpose of the Association, including acting upon the proceedings of the Association and of the Standing Committees. The Board shall annually appoint the Chairs of the Standing Committees. To authorize the expenditures of funds less than $500.00 as is necessary to conduct the business and advance the purpose of the Association, but only when a written expenditure report is accompanied with the request. Requests for expenditures of $500.00 or more shall first be presented to a General Meeting for approval by majority vote. Once having passed, the Board of Directors, through financial oversight, shall endeavor to assure the expenditures are made only as approved in the General Meeting. To form Ad Hoc committees and delegate to them such power as deemed appropriate to meet their objective. At the end of a set time (not to exceed six months) the Board shall review the need for the committee and may authorize an extension up to six months. To fill vacancies on the Board by interim appointments which shall be valid for the remaining term of the position. To set such rules as appropriate for the conduct of the duties of the Board, and to present these rules to the Association for approval in a General Meeting. To appoint an Ad Hoc “Election Committee” of three Members not on the Board of Directors at the September meeting of the Association, who shall take nominations for Board of Directors and Officers, as described below. To call General Meetings in addition to the regularly scheduled meetings. To appoint representatives to such area regional or other organization as is deemed appropriate to represent the neighborhood. There shall be at least one meeting of the Board per calendar quarter; the Board may schedule more frequent meetings. Any Member may audit the Board Meeting, but may not vote, speak or delay the proceeding. The dates, times, and locations of Board Meetings shall be posted in the Newsletter and the website. The Board shall conduct business by majority vote. A minimum of five Members must be present for a quorum. Section 6. Officers of the Association shall be a President, Vice-President, Secretary and Treasurer. These officers shall be elected biennial and serve for two (2) years and may succeed themselves if elected. Officers must be dues paying Members of the Association and must maintain a permanent residence within the boundaries of the neighborhood. The annual term for these officers is from January 1 to December 31 of each year. The duties of the President shall be to preside over the monthly meetings of the Association and to establish and disband any subcommittees with the advice and consent of the Membership. The President shall call meetings of the Board of Directors. In presiding over the General Meetings, all Members desiring to speak on questions up for vote shall be recognized by the President in order to speak. The President is also the Chairperson of the Board of Directors and shall preside over its meetings in a like manner. The duties of the Vice-President shall be to fulfill the obligations of the President should the President be unable to perform the duties. The Vice President shall notify Members of meetings. The duties of the Secretary shall be to record and maintain the minutes, records and correspondence of the Association and to maintain the list of all Members. The Secretary shall maintain the Corporate Minute book, the original of the By Laws and the corporate seal. The duties of the Treasurer shall be to keep the books and accounts of the Association, collect dues, receive funds, and disburse funds in accordance with the By Laws and resolutions of the Members as duly passed in a General Meeting. The Treasurer shall make monthly reports in writing of the receipts and disbursements of the Association, and the Association’s financial records shall be open to Members for inspection at a reasonable time and place. The Treasurer shall keep a record of all dues paying Members and shall annually in writing assess the annual dues to each Member. Elections for officers of the Association shall be held at the November meeting each year. There shall be nominations given to the Ad Hoc Election Committee for each officer position. The Ad Hoc Committee shall be appointed by the Board of Directors in September. Nominations shall close by November 1st and all Members shall be notified on the website of the slate of candidates by not fewer than ten (10) days prior to the General Meeting. The Members of the Association may remove any officer or Board Member by two-thirds vote at the meeting following a ten day prior written notice to the Membership of any such proposed vote. Officers are not entitled to any compensation for services rendered in fulfilling their duties, but, shall be reimbursed for expenses properly incurred doing business for the Association. All expenses must be firs authorized by either the Board of Directors (if under $500.00) or a General Meeting (if over $500.00). To inform the Association Members of the upcoming election. To encourage appropriate candidates to run. To accept nominations and to notify in writing the Members of the slate of candidates at least ten (10) days prior to the election. To oversee the election process at the November General Meeting and to prepare written ballots. To provide each prospective candidate with a written description of the duties of each office as set forth in these By Laws. To determine eligibility to vote from the official Treasurer list of dues paying Members by street address. The Board of Directors shall attempt to fill the following Standing Committee Chair positions on an annual basis: Crime Watch, Code & Zoning, NPU, Beautification, Communications, Seniors, Land Use & Planning and Membership. The Crime Watch chair is to work with the City of Atlanta Police Department and its Crime Watch Prevention officers. To actively promote the Neighborhood Crime Watch Program and work with the Street Block Captains to assure the program operates effectively. The Code & Zoning Chair is to work with the City of Atlanta Code Enforcement Department in monitoring code enforcement within the neighborhood. The NPU Chair is to represent the Association and neighborhood at regularly scheduled NPU Executive meetings and general meetings and report back to the Association. The Chair should have an alternate representative. The Beautification Chair is to coordinate activities with neighbors and property owners that will continually improve the overall appearance of the entire neighborhood. The Communications Chair is to coordinate all activities associated with the production of the monthly Association Newsletter and the Association Website. The Communications Chair also moderates and manages the Association’s E-mail distribution list. The Land Use & Planning Chair is to coordinate all activities associated with the long-term planning for and development of the neighborhood and the surrounding area. The Senior Chair is to coordinate all activities associated with the neighborhood’s senior citizen residents and to actively promote and work for active senior involvement. The Membership Chair is to encourage and develop participation in the Association from all residents and property owners and to maintain the neighborhood information book. The Association shall meet on the third (3rd) Tuesday of alternate months (throughout these By Laws, a “General Meeting”). The meetings shall be held at a convenient location within the neighborhood. Monthly meetings of the Association shall begin at 7:00 pm. Notice of meetings shall be given by distribution of a monthly newsletter to be distributed ten (10) days prior to the scheduled meeting. Additional notification shall be provided by placement of meeting signs throughout the neighborhood and through use of the established Web site. Voting in all matters, including election of directors and officers, shall be by dues paying Members. Each person living at a street address may vote, but not more than three persons per address, regardless of the number of persons living at the address. A quorum shall be required for the transaction of business at any meeting. A quorum shall consist of the President or Vice-President and at least ten (10) Members present at the meeting for a total of eleven (11). The Board of Directors shall require a majority for a quorum which is required for it to transact business. Each person at an individual address may vote with not more than three persons voting per address. There shall be only one vote per person. Each business or organization shall be entitled to one (1) vote per address. All actions of the Association shall be by majority vote, except as otherwise provided in the By Laws. Proxies will not be accepted. Voting shall be by written ballot for election or removal of Officers and Board Members, for By-law amendments, and for financial decision authorizing expenditures of $500 or more, and shall be verified by the Vice President, except for elections for officers and directors which shall be verified by the Ad Hoc Election Committee. All other matters may be voted upon by a show of hands unless those present and voting shall by a majority vote request a secret written ballot. Although there shall be no voting by proxy, absentee ballots on a form prescribed by the Board of Directors shall be permitted on any vote so long as the voting Member certifies he or she is unable to attend the meeting at which the vote is to be taken. Absentee ballots must be delivered so as to be received by the Secretary prior to the meeting and they each must be sealed and signed. There shall be no write-in ballots. Any motion bearing on (1) expenditures above $500.00; (2) zoning, ordinances, and variances; (3) removal of an officer or director; or (4) amendment to the By Laws can only be voted at a meeting where there has been ten (10) days prior written notice of the substance of the proposed motion. The purpose of the notice is to give interested Members fair notice of the impending vote. Written notice throughout these By laws includes electronic format. Subcommittees shall be established and disbanded at the will of the President with the advice and consent of the Board of Directors. The Association may recommend to the NPU, the City, or to any City department or official any action, any plan, or any policy affecting the livability of the neighborhood, including but not limited to land use, zoning, comprehensive development plan, housing, community facilities, human resources, social and recreational programs, traffic and transportation, public safety, environmental quality, emergency planning, open spaces and parks. The Association may also assist City agencies in determining priority needs for the neighborhood and may make recommendations relating to budget items for neighborhood improvements. There shall be an annual review of the Association By Laws at the regularly scheduled meeting in September of each year. Any amendments shall be submitted to the Board of Directors and President in writing prior to September 1 and voted upon during the November meeting. These amendments to the By Laws shall be effective on January 1st of the next calendar year. The Secretary shall recodify the By Laws once an amendment has passed and recertify the original By Laws as amended. Proposed amendment(s) to the By Laws shall be presented before September 1st, in writing, to the Board of Directors and President for review at the September meeting. The President shall have the proposed amendment(s) published in full text in the next newsletter to be discussed as part of the agenda at the September meeting. Proposed Amendments must be in full text presented to the Members at least ten (10) days before the proposed vote at the November meeting on the Amendment in November. Any amendment must carry by a two-thirds majority vote of those Members voting. All request for expenditure of Association funds must be accompanied by a detailed written request form, as formatted by the Treasurer, stating the amount and purpose of the expenditure. No expenditures above $500.00 shall be made without prior approval by the Association in a General Meeting. Expenditures under $500.00 for unrelated items may be authorized by the Board of Directors prior to the expenditures. The Board shall not circumvent the $500.00 limitation by breaking into smaller segments what is in essence a single expenditure. The financial books and records of the Association shall be open to all Members for inspection at a reasonable time and place. The Treasurer shall not be required to open the books and records more than once per month. Notwithstanding any provision to the contrary, the Boards, the Officers, and the Committees shall have no power to effect changes to the public areas of the neighborhood, including streets, parks, and sidewalks, except upon a vote of the Association at a General Meeting with a minimum of ten (10) days prior written notice of the proposed vote. Association meetings shall begin at 7:00 p.m. and shall be conducted in accordance with the most current version of Roberts Rules of Order. Meetings shall adjorn no later than 9:00 p.m., but shall in general last one hour. Directors and officers of the Association shall at all times maintain appropriate professional relationships with elected and appointed government officials and business interests. In the event that a director could receive financial gain from the outcome of any vote on a specific issue, he or she shall abstain from voting on the issue being considered. Officers and directors shall declare the possibility of the appearance of conflict of interest prior to any such vote. On matters of zoning, the petitioner shall have no longer than fifteen (15) uninterrupted minutes of presentation. This presentation shall be followed by discussion and questions from the Membership. The NPU representative and/or the alternate shall attend regularly scheduled NPU meetings to convey the wishes and desires of the Association to the body of the NPU; however, until a proper vote at a General Meeting, the NPU representatives shall not and cannot bind the Association. The Association shall indemnify and save harmless, the offices and directors from personal losses, cost, damage or expense incurred for the acts or omissions done or not done on behalf of the Association, so long as the act or omission was not in direct contravention of an express by law. It is the intention of the Association that indemnification shall extend to the maximum indemnification possible under the laws of the State of Georgia. The Board is authorized to obtain directors and officers liability minimum insurance coverage for this purpose.